Sepco Recess reducing washer of trade size 4-Inch x 3-Inch, is suitable for threaded rigid conduit and IMC fittings. 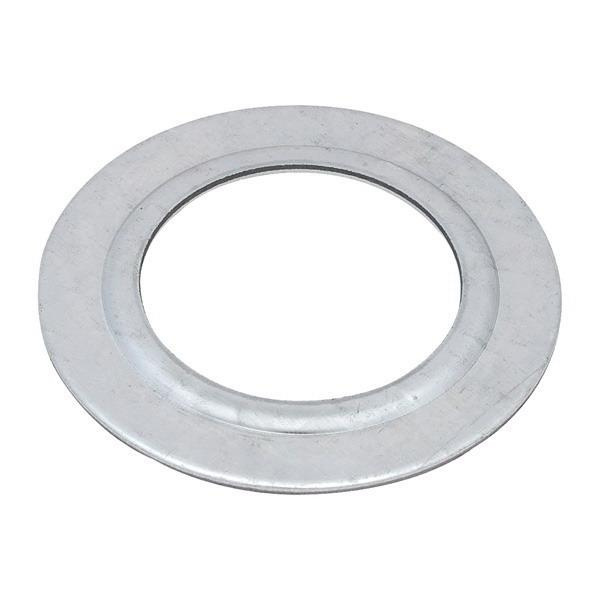 This 0.065-Inch thick flat washer features steel construction with galvanized finish. It measures 3.56-Inch ID x 5.5-Inch OD. Reducing washer is UL listed and CSA certified.